Pure Body Naturals Dead Sea Mud Mask Reviews: Is It Really Effective? Pure Body Naturals Dead Sea Mud Mask Review: Is It Really Good? Pure Body Naturals Dead Sea Mud Mask is an all-over body “mask” meant to not only reduce blemishes and fine lines, but also to smooth out and erase cellulite. Pure Body Naturals seeks to nurture natural beauty using pure, natural ingredients in all of their formulas. The 16 oz. container of this mask can be purchased for $29.95 on the manufacturer’s site.Pure Body Naturals does not appear to provide a money-back gaurantee. Unfortunately, the manufacturer does not provide an ingredient list of any kind. The list below is gleaned from the product description. Dead Sea Mud: Sourced directly from the Dead Sea, this mud is rich in sodium and magnesium and can allegedly draw out impurities to fight blemishes, soak up oil, and fade scars. 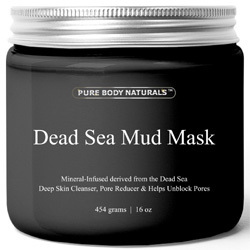 Unfortunately, the manufacturer does not provide any instructions on how to use Pure Body Naturals Dead Sea Mud Mask. However, they do note that it can be applied anywhere on the body. Pure Body Naturals Dead Sea Mud Mask is designed to cleanse the skin, pulling dirt, oil, and other impurities from the skin to minimize pores and reduce acne. It is unique because it is designed to be used all over the body, unlike many other masks. The company claims that this product can also reduce cellulite, but because no ingredient list is provided, this is hard to confirm. Dead Sea Mud has been proven to cleanse skin and reduce acne, but it isn’t usually used to fight cellulite. No studies proving the product’s effectiveness is readily supplied either, so it is hard to determine whether the product can deliver on all of the company’s claims. 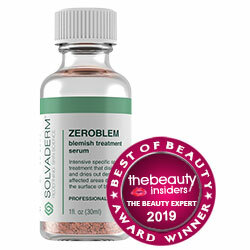 The lack of an ingredient list also means it is hard to say whether this product is safe for all skin types. This product does not even have any reviews listed on the website, so it is hard to gauge customer satisfaction. Pure Body Naturals does not provide any sort of money-back guarantee, so you cannot even try out this product to see if it delivers on its promises for you, at least not risk-free. There are many cleansing, acne-reducing masks available on the market, so please consider all options before making a purchase.